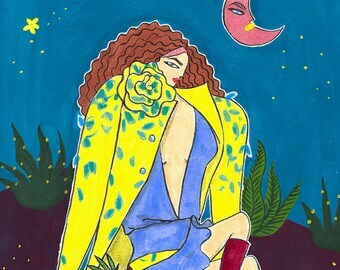 Arts & cards inspired by fashion and fat cats! I am OBSESSED! 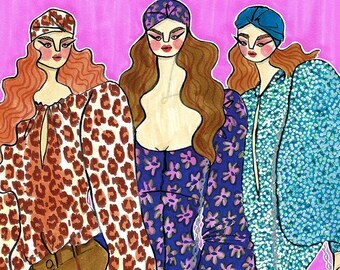 This print is so so cute and it shipped super quickly. Thank you so much, my mom will love it! 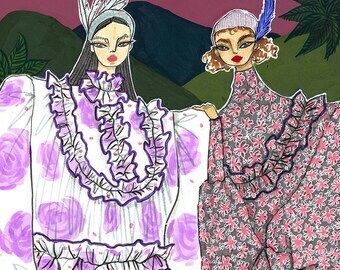 Ping Hatta is a Thai-born, NYC-based fashion illustrator, lingerie designer, printmaker. 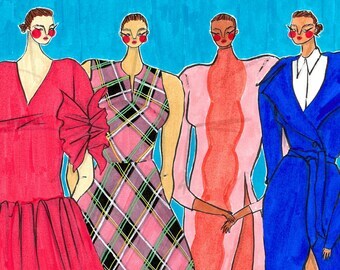 Her illustrated fashionistas are marked by bright colors, exaggerated silhouettes, razor-sharp eyeliners, a resting-b-face and anything that defies narrow beauty standards. 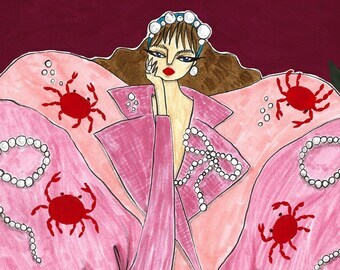 Her talent has been recognized by international brands and publications such as Vogue, American Illustration, Saks Fifth Avenue, Diptyque, Rebecca Minkoff, among many more. Ping primarily uses waterbased markers but also works across various medium, including gouache, acrylic, embroidery, linocut printmaking. 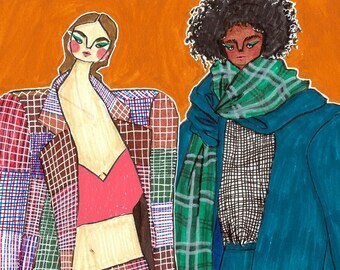 NYC-based fashion illustrator, lingerie designer, printmaker. 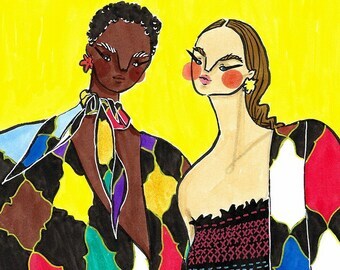 Her illustrated fashionistas are marked by bright colors, exaggerated silhouettes, razor-sharp eyeliners, a resting-b-face and anything that defies narrow beauty standards.